When I was but a growing child anything even remotely within the world of the supernatural used to turn me into a jabbering, quivering wreck. Every single time my parents turned off the bedroom light, in the hope I’d drift off into the soft embrace of a candy-coated dreamland, I would pull my covers over my neck and keep watch for the possible (and in my mind probable) onslaught of Witches, Vampires and Goblins that had spent all the daylight hours in waiting. You may think I’m being overly dramatic but I had more cause to be terrified than most nippers as I grew up on a street named Witchwood Crescent. Witchwood! 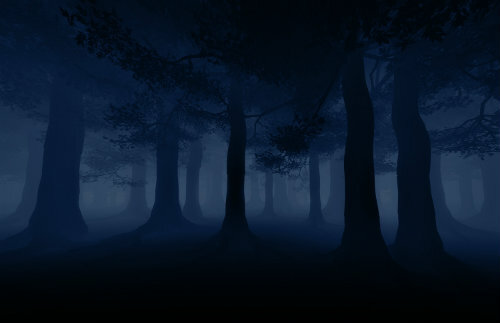 As in a wood that is teeming full of witches. Just think about that. It’s a terrifying idea as a child. The town planner that named the street must have known something that other people didn’t or was just plain despicable. I mean, if you wanted to give a kid nightmares that bad you may as well have just have the Child Catcher from Chitty-chitty bang-bang as the caretaker of the local primary school. I spent my nights imagining the terrible forms the ghouls would take as they snuck into my room under the cover of darkness, and I’ve never forgotten it. Fortunately we didn’t stay in Witchwood Crescent too long. We soon moved to Kingsmuir Crescent, an altogether more regal and less distressingly named street. Although my next bedroom was painted entirely blood red so that didn’t exactly help with my already shaken frame of mind. I mention my past terrors because I can sympathise with anyone who has grown up in the Highland village of Tomatin where it is said that the legendary Cu Bocan stalks their woods. A ghostly spectre resembling a massive wolf with smoke whisping out of its nostrils the Cu Bocan wanders the woods close to the village striking fear into even the bravest of hearts. I had it easy living in Witchwood Crescent. At least witches melt when you throw water on them. Or so the movies tell me. 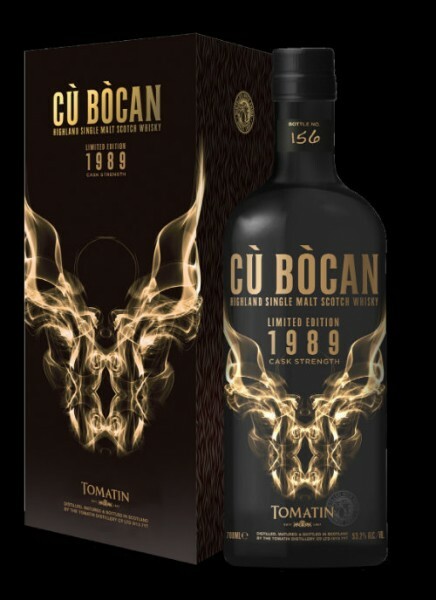 As many of you may be aware Tomatin distillery have embraced the legend of the Cu Bocan and even lent the name to a new expression of their whisky last year- one with a big smoky flavour. Following the success of that we find a limited edition vintage release from 1989 bearing the same name and with an addition to the story- and it is an addition that I take with a substantial pinch of salt. It pains me to say but one of the things that has developed in me over those years since I hid under the covers is a mild case of cynicism. 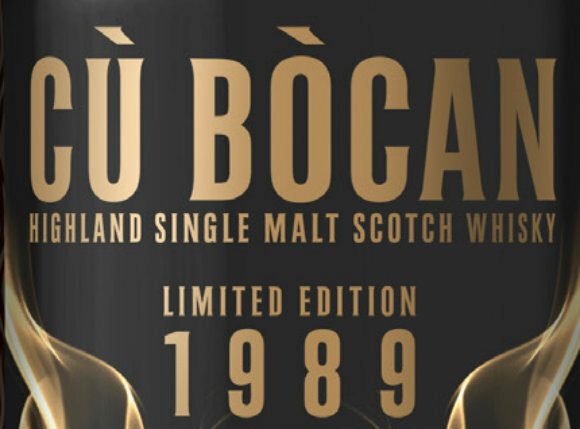 Vampires, Werewolves and Witches are now consigned to fairy tale and I can’t but help find the story of the 1989 Cu Bocan a little bit of the same. 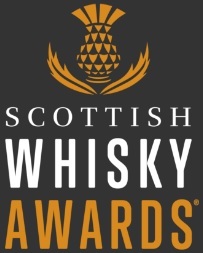 It claims that an “accidental” batch of peaty whisky was made and has been slumbering in their warehouse ever since. It’s a nice thought… but I just can’t buy it. 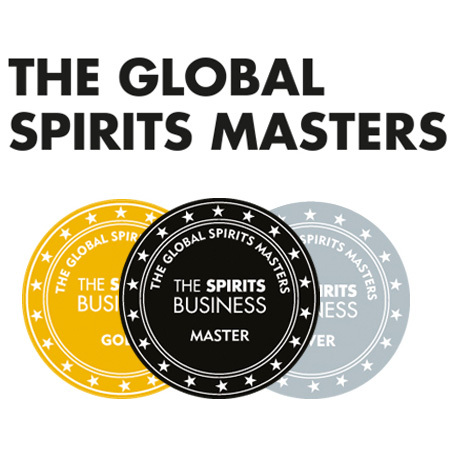 I’m in no way writing off this whisky- let’s set that right straight away. The close to 28 years I have had walking the plains of this Earth have just made me a tad sceptical. Oh don’t get me wrong I’ll happily embrace the idea of a ghost dog roaming the woods of Tomatin but I find it hard to believe a peated batch of barley managed to get past a mash-man, wash-man, still-man and distillery manager in order to get to cask and then those same casks being allowed to mature for close to 23 years without being sold or bottled. It’s too long a process for this to be an accident. I might be wrong (and usually am) but my gut just tells me different. So, anyway, the Cu Bocan 1989. It is vatted from only three casks and is pretty darn limited so it might not be too easy to get a hold of. Nose: It’s initially sweet, much sweeter than I anticipated it was going to be. Pear juice (perry?) and heather come whisping on through. The smokiness reminds me of the mossy campfires that we would make back home in my youth. The alcohol certainly grabs you. You can tell it’s at full cask strength. There is a little bit of melon coming through we well as vanilla and cream. Palate: It’s so much fruitier than I ever would have thought. Fresh fruit too- peaches, pineapple and apricots. The hefty smoke then sneaks to the forefront and clobbers everything else into submission. If you’re a fan of peat and your looking to treat yourself get one of these now! Finish: It’s lingering but subtle. Like a good Terrence Malick film. Overall: A very good whisky. A tad pricey but certainly not unfair in today’s market. I’d try to acquire a bottle myself but then I would have to face my biggest fear since I’ve become a fully fledged adult. My bank manager. I’m not quite ready for that. In fact I think I’ll just go hide under the covers for a minute or two. This entry was posted	on Wednesday, July 23rd, 2014 at 8:19 am	and is filed under Reviews. You can follow any responses to this entry through the RSS 2.0 feed. Responses are currently closed, but you can trackback from your own site.